The holiday season means it’s time for holiday shopping, but tracking down the right presents in a fun-filled environment isn’t quite as easy as finding 1 bedroom apartments in Manhattan. Or is it? 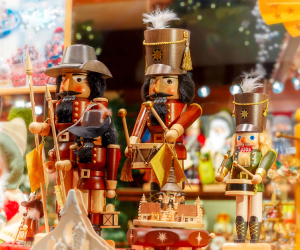 Near the Upper East Side and around Manhattan island, there are holiday markets abound, and chances are, at least one of them will have something to fit your fancy. If you’ve got a mind to do some Christmas shopping, but prefer the openness and tradition of an old-school holiday marketplace to heading online or somewhere else, then these picks might be just what you’re looking for. Read on to see what’s popular around this part of New York City. This market experience, hosted by Urbanspace NYC, has gone through some upgrades and revisions, and now includes new draws like Little Brooklyn, Urbanspace Provisions, a “warming station,” a Kid’s Art Studio, live musical performances, and, of course, some of the best vendors you’ll find on the island. You can get a look at those fine vendors here. As you can see, they run the gamut from art, design, crafts, sculpture, and much more. If you’re looking for a creative gift that you can find in a wonderful outdoor space, this is the place to obtain it. Furthermore, the items you will find here are organic, made in the USA, local, fair trade, recycled/reused, and 100% handmade. Quality like this is hard to come by, so you’ll do well to stop by and at least take a gander. And those aren’t the only kind words spoken about this winter spectacle. Several publications have had positive things to say about the Union Square Holiday Market, and you can find those stories here, if you’re interested. The Renegade Craft Fair will also be making other stops on their “holiday tour,” so be sure to check out their schedule to see where you’ll be able to find them next. For something that’s just slightly out of the way, the 8th Avenue Holiday Market Provides. Head to the parking lot by 46th Street and 8th Avenue, then you’ll be treated to a display of handmade goodness: artsy clothing, jewelry, crafts, and even a slew of food vendors selling crepes, waffles, and more. It’s not as glitzy as the other holiday markets you’ll encounter, but it possesses a level of NYC charm you’ll find hard to pass up. Especially when you’re looking at fine communities like Renoir House. This elegant rental space, situated in the heart of the Upper East Side, has some of the finest 1-bedroom units you’ll find in the city, among a wealth of other choices. These, of course, are coupled with stunning interiors and building features that make living here a joy. Check out the luxuries that come with Renoir House, and make it your choice for home in fabulous Manhattan.